Geithner will be out. Dimon will be in. And Glass-Steagall will make a comeback. 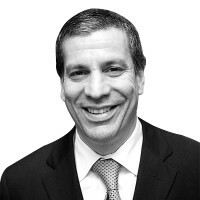 Charlie Gasparino on the people and issues that will shape 2010’s financial future. I don’t think it does anyone any good to read another Top 10 list that puts Goldman Sachs' bonuses and its CEO, Lloyd Blankfein, the man who does God’s Work, as movers and shakers we should all be watching in 2010. So with that in mind, I tried to come up with people and issues that don’t necessarily fit neatly into the mainstream media’s vision of future importance, but in my view, will play leading roles in the economy going forward. They are listed here in no particular order, and, I might add, I’m breaking with tradition in another way by doing a Top 5—because the last five in most lists rarely come true. Congress will demand that heads roll, and the man in charge of implementing the $800 billion stimulus program should be the first head to roll. • Nomi Prins: Bernanke in Denial Now it’s up to Moynihan to steady a massive bank that is saddled with billions of dollars in possibly problematic loans, and of course, the legacy of its ill-fated purchase of Merrill Lynch. Moynihan recently looked shaky before a congressional committee investigating the merger, but if he can continue to repair the balance sheet of one of the world’s biggest banks, one that regulators consider “systemically important,” he will do a lot to help the banking business recover. If he can’t, he will be categorized along with Citigroup CEO Chuck Prince as one of the goats of the banking business. You won’t find a straighter shooter than Rep. Peter King (R-NY), who, in an era where political correctness warps our thinking on a daily basis, speaks his mind about simple truths. (Remember his outrage at the insane, over-the-top glorification of Michael Jackson after his recent death?) Last summer, King took a lot of heat for declaring that health care was “ not a major issue.” His point was that real Americans are more concerned with jobs and the economy. King also sits on the Homeland Security Committee and the Intelligence Committee, which will make him a nettlesome critic of President Obama and his approach to fighting terrorism (the administration treats terrorism as a crime rather than a military threat), particularly as the 2010 mid-term elections near. There was once a time when banks that had federally insured deposits couldn’t be merged with investment banks that like to take massive risks in the bond market. That all ended in 1999, when Congress ditched the Depression-era Glass-Steagall Act, allowing such behemoths as Citigroup to be created before they were awash in oceans of red ink and government aid. Hundreds of billions of dollars in bailout money later, there is a debate among smart financial types, including presidential economic adviser Paul Volcker, to bring back Glass-Steagall, and end the absurdity of taxpayers financing the risk-taking of the these combined institutions. My sources tell me Volcker isn’t getting much help in the Obama administration to bring back the law—keep in mind both senior economic adviser Larry Summers and Treasury Secretary Tim Geithner are acolytes of one of the chief architects of Glass-Steagall’s demise, former Treasury Secretary Robert Rubin—but the debate continues to gather steam among academics and in the press, which should give Volcker, the former Fed chairman who defeated inflation in the late 1970s and early 1980s, a strong incentive to keep pressing his case. OK, he was handed a lousy economy, which was the function of the financial crisis, but sooner or later the president will figure out A) this guy is way, way out of his depth in restoring the country to economic health, and B) he was one of the guys responsible for the crisis in the first place. Geithner was president of the New York Fed through much of the downturn, and saying he was slow to act is an understatement. Unemployment may be abating, but it's still abnormally high. If it remains high (the 8 to 10 percent range), Congress will demand that heads roll, and the man in charge of implementing the $800 billion stimulus program should be the first head to roll. His flacks at the big bank tell me that when Jamie Dimon decides he wants to do something else, he will probably go into academics. Please. Dimon loves to run things; the worst stretch of his career was when he couldn’t find a job after being ousted as Sandy Weill’s No. 2 at Citigroup back in 1999. Once he found a job, Dimon built JP Morgan in his own image—he withstood the Wall Street craze to engage in massive risk-taking in the bond markets, and when the dust settled last year, just about every major financial institution in America was insolvent, except JP Morgan. The reason I think Dimon is likely to become Treasury secretary is that he’s already a shadow Treasury secretary. A life-long Democrat, with ties to the Chicago political machine where President Obama got his start (before he became CEO of JP Morgan, Dimon was CEO of the Chicago-based Banc One), Dimon is said to give economic advice to the president on a regular basis. As soon as Geithner resigns, Jamie Dimon will do it publicly. Bank on it.